SISCAPA Assay Technologies, Inc (SAT) was founded in 2011 by Leigh Anderson, Terry Pearson and Constance Seniff in the belief that mass spectrometry, combined with a simple workflow, could overcome the barriers slowing validation of new protein biomarkers, and adoption of multiplex test panels for clinical use. To this end, SAT provides services and products for accurate quantitation of specific proteins in an automated, multiplexed and high throughput manner. In recognition of these efforts, SAT was awarded the HUPO Science and Technology Award in 2015. Dr. Anderson obtained his BA in Physics from Yale and a PhD in Molecular Biology from Cambridge University (England), has published 170 papers and been granted 44 US Patents. He co-founded Large Scale Biology, an early proteomics company that IPO'd in 2000, has served on the board of directors of Dade Behring (a global diagnostics company) and Luna Innovations (fiber-optic test and measurement). He received the 1983 Pittsburgh Analytical Chemistry Award; the 2008 Award for Outstanding Contributions to Animal Clinical Chemistry (AACC Division of Animal Clinical Chemistry); and the 2009 HUPO Distinguished Achievement Award in Proteomic Science. 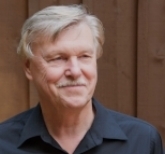 Dr. Pearson is an emeritus professor in the Department of Biochemistry and Microbiology at the University of Victoria. He obtained his BSc in microbiology and PhD in immunology from the University of British Columbia, and continued as a postdoc and staff scientist at the MRC Laboratory of Molecular Biology in Cambridge, England, where he generated the world's first commercial monoclonal antibody. He then joined the International Laboratory for Research on Animal Diseases (Nairobi, Kenya) where he introduced monoclonal antibody technology to Africa. For more than 35 years his research has focused on tropical diseases (mainly African sleeping sickness), and translation of basic research discoveries into application to clinical diagnostic medicine in both the developed and developing world. He currently serves on the boards of several private and public biotechnology companies. Ms. Seniff has a background in international business and biotechnology, including proteomics and diagnostics. She managed the business activities of Large Scale Biology Corporation through a startup phase that lead to a successful IPO in 2000, and has managed the financial affairs of SAT since its inception. Ms. Seniff holds a BSc with honors in Business from Florida State University. Matt has more than 9 years experience with the SISCAPA team and was the first employee of SISCAPA Assay Technologies. He manages several functions within the company including project, operations, and facilities management. He played a lead role in managing the generation and characterization of SISCAPA antibodies in the NCI Clinical Proteomic Technology Assessment for Cancer (CPTAC) Initiative. This included developing advanced techniques for measuring anti-peptide antibody affinity and associated strategies for selection of high-affinity SISCAPA reagents. Matt has a unique and varied work history including guiding numerous expeditions in the Antarctic and Arctic, leading whale-watching excursions off the coast of Vancouver Island, and worked as a visiting scientist at the International Livestock Research Institute in Nairobi, Kenya. Dr. Razavi obtained his B.Sc. in microbiology and his Ph.D. in Biochemistry from the University of Victoria with a focus on clinical proteomics. In his role as Director of Lab Operations, Morty has designed a fully automated SISCAPA workflow suitable for high throughput clinical settings that is compatible with whole blood, plasma, serum and dried blood spot specimens. His primary current focus is to develop diagnostic panels for longitudinal monitoring of health and disease using a single drop of blood. Morty believes that improved, individualized diagnostics will allow personalized medicine to reach its full potential and become widely accessible as a result of his work. A member of the SAT Board since 2012, Mr. Salem has significant executive leadership, commercialization and operations experience representing emerging technologies in life sciences and diagnostics industries. Currently the President of IDEX Health & Science, Gus was formerly CEO at SAT, and remains actively involved in driving the strategic direction of the organization. Gus previously served at Agilent Technologies as VP and GM of the Biological Systems Division; LC/MS, genomics, and diagnostics. He led the Protein Separations Division of Bio-Rad laboratories including laboratory and process chromatography, and electrophoresis. Gus holds a BA in Physiological Psychology from UC Berkeley. A widely-respected biotechnology entrepreneur who has played a key role in SAT's strategic development. Guo-liang is the Executive Chairman of Crown Bioscience Inc., a biotech company with expertise in the areas of Oncology and Metabolic Diseases, and a venture partner with the healthcare fund OrbiMed Advisors. Guo-liang founded and was CEO of Epitomics, Inc., a leading monoclonal antibody company and pioneer of rabbit monoclonal (RabMAb) technology, and now part of Abcam.